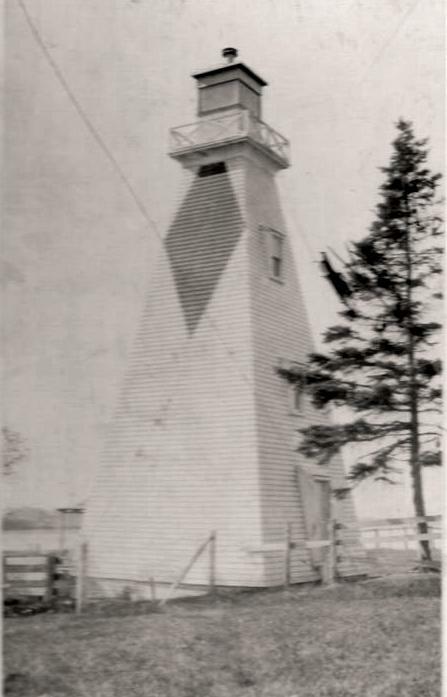 Two pairs of range lights were established in 1889 to guide vessels into Charlottetown Harbour along a channel clear of all obstructions. The Brighton Range Lights and the Haszard point Range Lights. The Brighton Beach Range Lights consist of two buildings, the Brighton Beach Front Range Light and the Brighton Beach Rear Range Light. The function of the range light is to indicate a safe course for sailors. This occurs when the two lights are lined up one above the other. There has been a range light in this area since the opening of navigation in 1890. 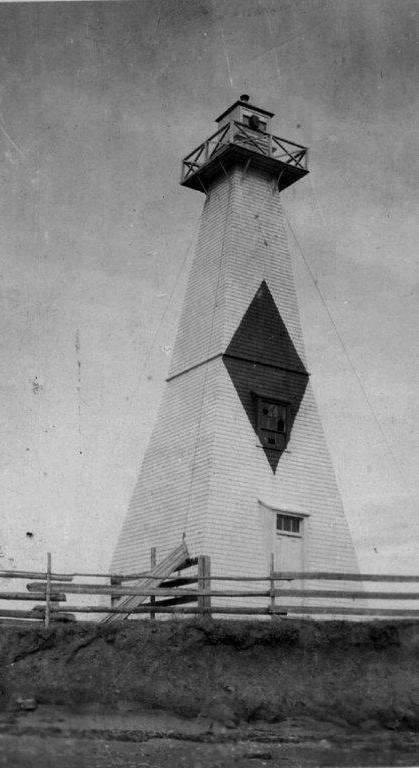 The first range lights were masts with a reflective lantern at the top and a shed at the base. They would be replaced by 1892 by skeleton towers. The Brighton Front Range Light was located on the north west of George Howlan’s property on the east side of the North River. The Rear Range Light was on the old Asylum grounds, just north of the Front Range light. Alignment was to be taken where it intersected Haszard’s Point alignment, about one half mile south of St. Peter’s Spit Buoy, and followed due north to Canseau Point (Rocky Point) where the course up the Harbour could be judged by the town lights. The Brighton Front Range Light that we know today was a Department of Marine design. In 1907, it was placed on a new ballasted cribwork and was moved in 1919 and 1926. It underwent renovations in 2000 and 2012. The modern Brighton Rear Range Light is a unique “apple core design” that was constructed on December 24, 1968 by Williams, Murphy and MacLeod. 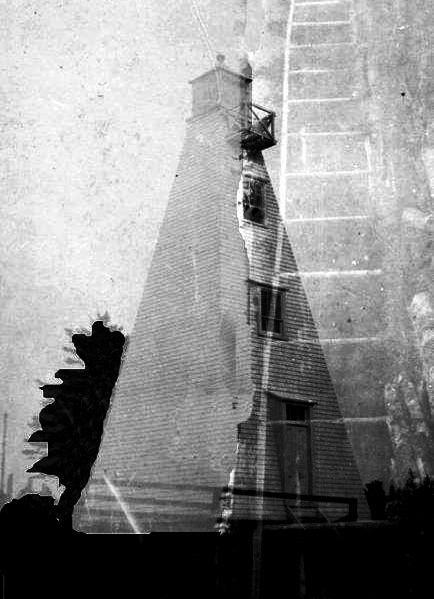 An earlier wooden light on the site was destroyed by fire in 1933. 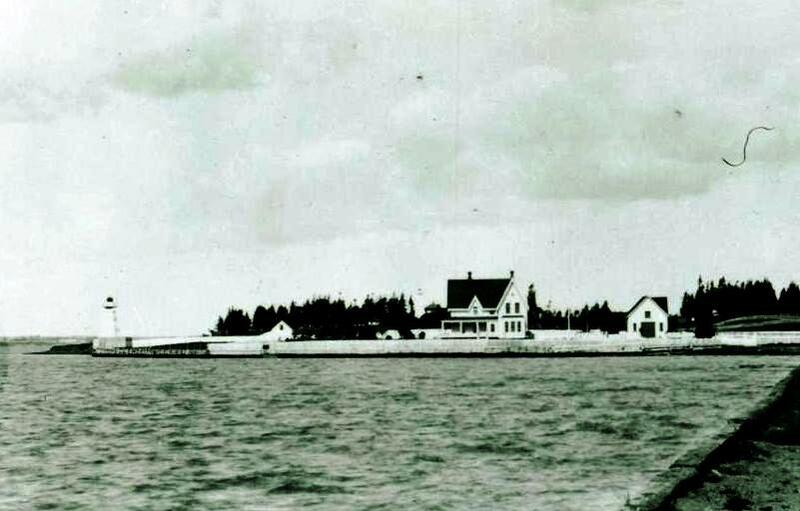 The outer set of range lights, known as the Haszard Range Lights, was established southeast of the entrance to the Charlottetown Harbour on a farm owned by the Hon. 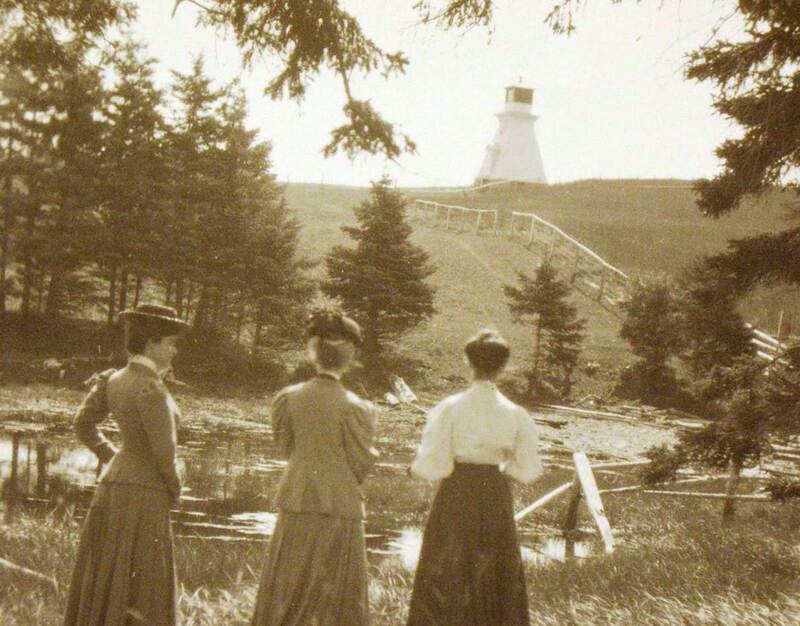 Francis L. Haszard (1849-1938), who would serve as Premier from 1908 to 1911 and Judge of the Supreme Court of Prince Edward Island from 1911 to 1930.The Front Range Light is a tapered, wooden tower, 17.3 metres in height from base to vane and square in design. In approximately 1948, the height of the tower was increased by 2.4 metres. It was moved back from the bank twice- once in 1902 and then again in 1936.Both lights were repainted after 1934. Originally the front range tower had a red diamond on its otherwise white seaward face, but today, both range lights have been repainted with a red face and a black vertical stripe. The rear range light is a tapered, wooden tower, 14 metres in height from base to vane and square in design, but due to the hill on which the tower is situated, the light has a focal plane of 46.3 metres. The rear tower is situated 650 metres north of the Front Range Light. 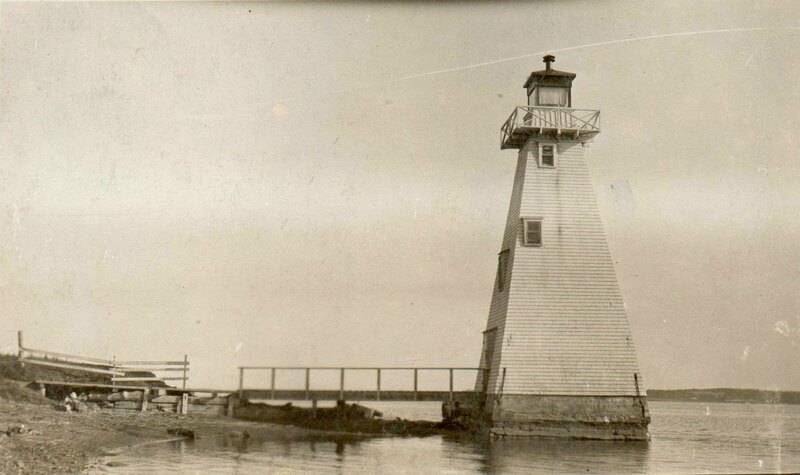 In 1907, it was found to be necessary to construct two more range lights to aid navigation into the Charlottetown Harbour.The Warren Cove Range Lights are located on the west side of the opening of the Charlottetown Harbour. The Department of Marine and Fisheries designed the two lights and the builder was Mr. Walsh. The lights were framed at the Government Wharf Warehouse in Charlottetown. The graceful design was typical of the era with flared cornices and pediments over the door and window. The towers are made of wood, shingled and painted white with red trim with a red vertical stripe on the range line. Repairs were undertaken in 2008 when the range lights were stripped to their frames and plywood and nailite siding were applied to the structures. Sadly the graceful flared cornices were also replaced with a more angled design.